Barbecue ribs are the quintessential dish for backyard barbecues and family reunions. Surprise your family & guests with this elevated recipe that infuses the meat with a smoky apple-bourbon sauce. Every mouthwatering bite is a tender piece of heaven! RecipeSavants.com Barbecue ribs are the quintessential dish for backyard barbecues and family reunions. Surprise your family & guests with this elevated recipe that infuses the meat with a smoky apple-bourbon sauce. Every mouthwatering bite is a tender piece of heaven! Smart Recipes, American Recipes, Pork Recipes, Recipes Pork American Apple-Bourbon Barbecue Ribs PT3H35M Serves 6 Ingredients: 0.5 Cup Apple Wood Chips 2 Tablespoons Light Brown Sugar 1 Tablespoon Kosher Salt 1 Tablespoon Sweet Paprika 0.75 Teaspoon Garlic Powder 0.75 Teaspoon Onion Powder 0.75 Teaspoon Ground Cumin 0.5 Teaspoon Freshly Ground Black Pepper 0.125 Teaspoon Ground Cinnamon 0.125 Teaspoon Ground Ginger 4 Pounds Country-Style Pork Ribs 2 Tablespoons Unsalted Butter 1 Medium Onion 1 Medium Granny Smith Apple 3 Tablespoons Bourbon 2 Cups Your Favorite BBQ Sauce In a saucepan over medium heat, saute the onions and apples in melted butter for about 10 minutes. Carefully stir in the bourbon and BBQ sauce and simmer for another 10 minutes. Meanwhile, in a large bowl, cover wood chips with water and let soak for at least 30 minutes, then drain well. With a sheet of heavy-duty aluminum foil, form a packet and place wood chips in the middle. Seal packet and pierce all over with a small knife. Set aside. Preheat the grill to 350 degrees. Add wood chip packet, cover, and wait until the chips start to smoke (normally 5-10 minutes). In a small bowl, combine the brown sugar, salt, paprika, garlic powder, onion powder, cumin, black pepper, cinnamon, and ginger. Rub the spice mixture over the surface of the ribs and rest for at least 5 minutes. Place the ribs on the grill and close the cover. Grill meat, turning occasionally, until they are cooked through and lightly charred, about 2 1/2 hours. Use meat brush to coat the ribs with reserved barbecue sauce on both sides and cook until glazed, about 5 minutes. Transfer ribs to a platter and serve with remaining sauce. If you enjoyed this easy rib recipe, you'll love these fresh ideas! 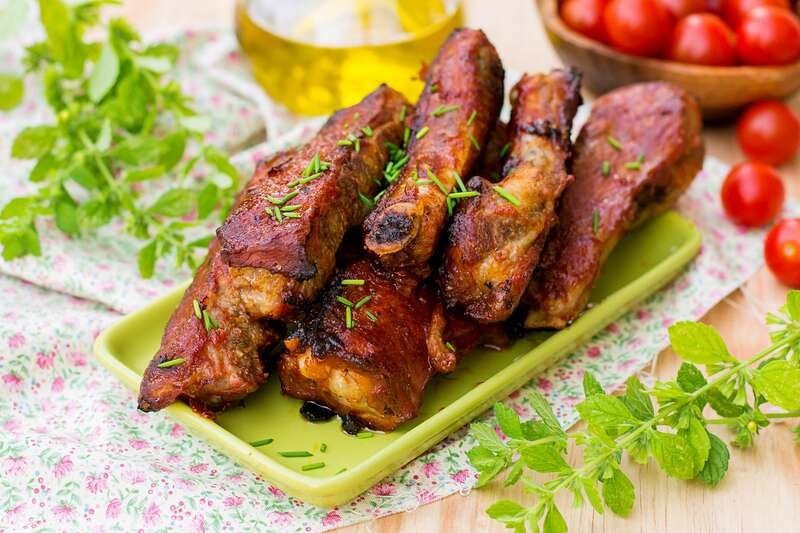 Share the jubilant culture and cuisine of Jamaica with these mouthwatering barbecue ribs. They are marinated in an aromatic jerk seasoning and dark rum, then slow-roasted on the grill to tender perfection. Serve them with the suggested and delicious Sticky Rum BBQ sauce! This easy and tasty five spice ribs are one of our most popular crockpot dinner ideas. 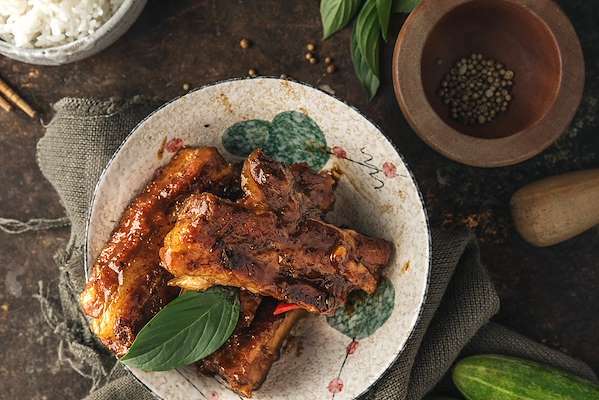 A simple vinegar marinade prepares the ribs for a complex spice mixture of garlic, tamari, and Chinese 5-Spice powder. This is a complete set and forget about it dinner, that is ready for almost no effort. Use your Instapot to make the most tender short ribs ever! 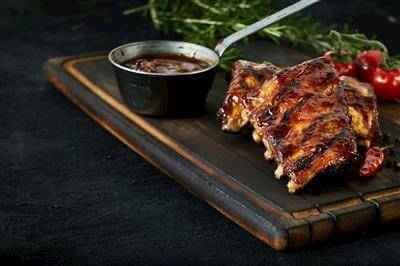 The succulent ribs are infused with the complex flavors of ancho chilis, chipotles, brewed coffee and aromatic spices. The meat falls off the bone and the veggies are delightfully tender. Don't forget to drizzle some savory red-eye gravy on top! 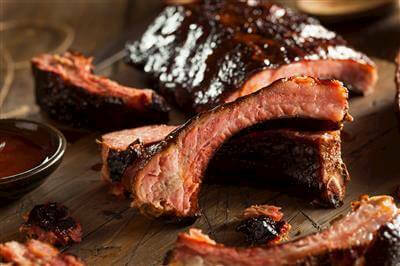 Do you enjoy mouthwatering ribs? Grill a stack of these spicy barbecue spareribs in your oven and watch them disappear when you serve them! This oven-style version starts with spareribs that are marinated in a medley of spices overnight. Then, they are coated with a tasty mixture of IPA, honey, and more aromatic spices. The savory meat falls off the bone.